The Avg. Group Saves 3.6%! 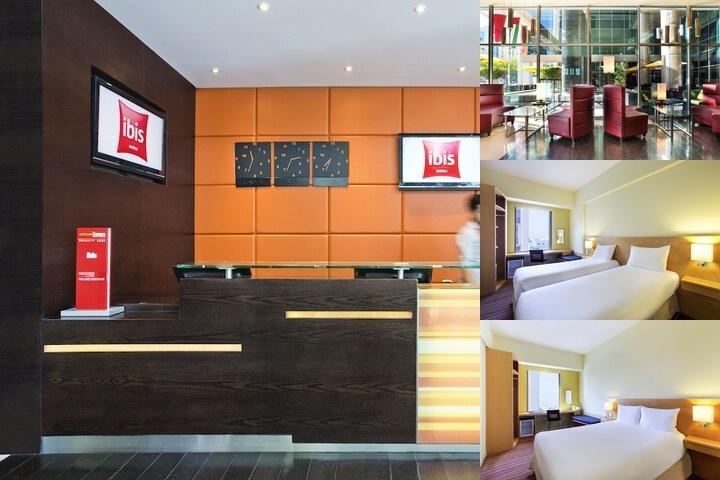 Located on Al Rigga Road eithin the heart of one of Dubai's historic districs, Ibis Al Rigga is within close proximity to numerous business and leisure facilities such as: Al Ghurair shopping mall, Dubai International Airport, Dubai Creek, Gold & Spice Sooks and Dubai Museum. The Al Rigga Metro Station is a 300-metre walk from the hotel. Yes, the Planet 21 program. The hotel is certified Sustainable ISO 14001. We serve balanced dished and promote local food products in our restaurant. No endangered seafood appears on our menu. We use eco-friendly cleaning products to clean the rooms, our faucets are fitter with water flow regulators, and we have water efficient laundry to reduce water consumption for every wash. We recycle batteries, paper, cardboard and glass and use certified sustainable paper for our hotel printing. Our light bulbs in the reception and in the rooms are energy-saving. We have a central switch in room for greater comfort and energy savings and we recover the ambient warmth to optimize heat consumption. Our personnel is trained on responsible actions toward the environment. The Ibis highlights above are subject to change without notice.